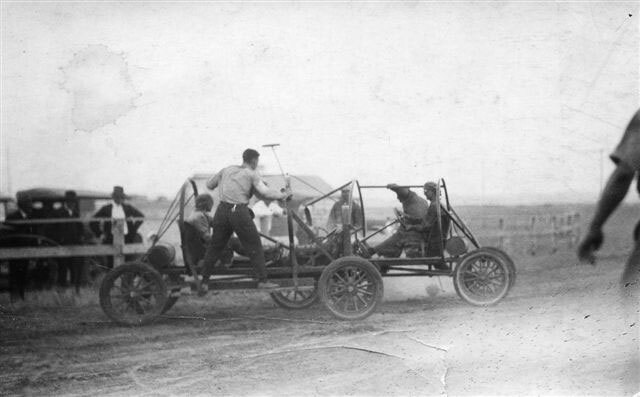 Auto Polo at the Sherman County Fair during the 1920’s. Born curious, I asked questions. I listened. One thing led to another, from learning about the Oregon Trail in fourth grade to researching family and local history, volunteering at the local museum and now sharing my collection of local history with you. This collection is all about the people who lived here, kept the church, cemetery and government records, preserved the stories about businesses, families, places and events, and encouraged my interest. It’s important to share this collection with you in honor of these record keepers and storytellers! It’s truly the work of many! Indeed, this site is the result of a lifetime journey with local people and local history, but it’s not everything! For a wealth of additional information, be sure to visit the interpretive exhibits at the national-award-winning Sherman County Historical Museum in Moro, and explore the Sherman County Historical Society’s twice-yearly historical anthology, Sherman County: For The Record. Copyright © 2019 Sherman County, Oregon History. All rights reserved.